A full-strength formula that prevents hair loss and stimulates regrowth in deadened follicles. For men who have thinning hair and balding on the top of the scalp. 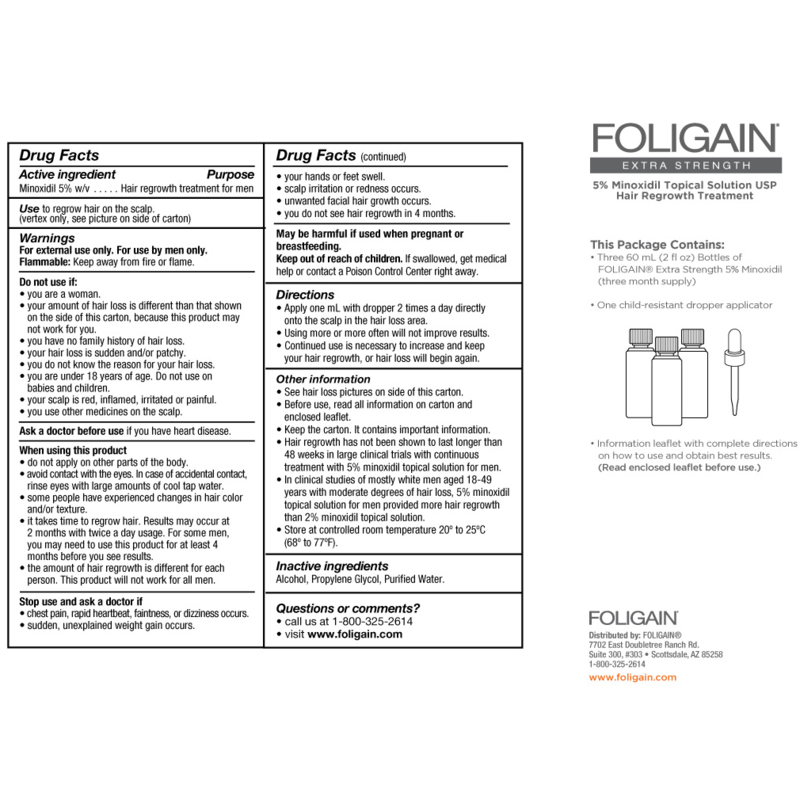 Men’s FOLIGAIN Extra Strength is for men who have a general thinning of hair on the top of the scalp as shown (Vertex Only). Not intended for frontal baldness or a receding hairline. 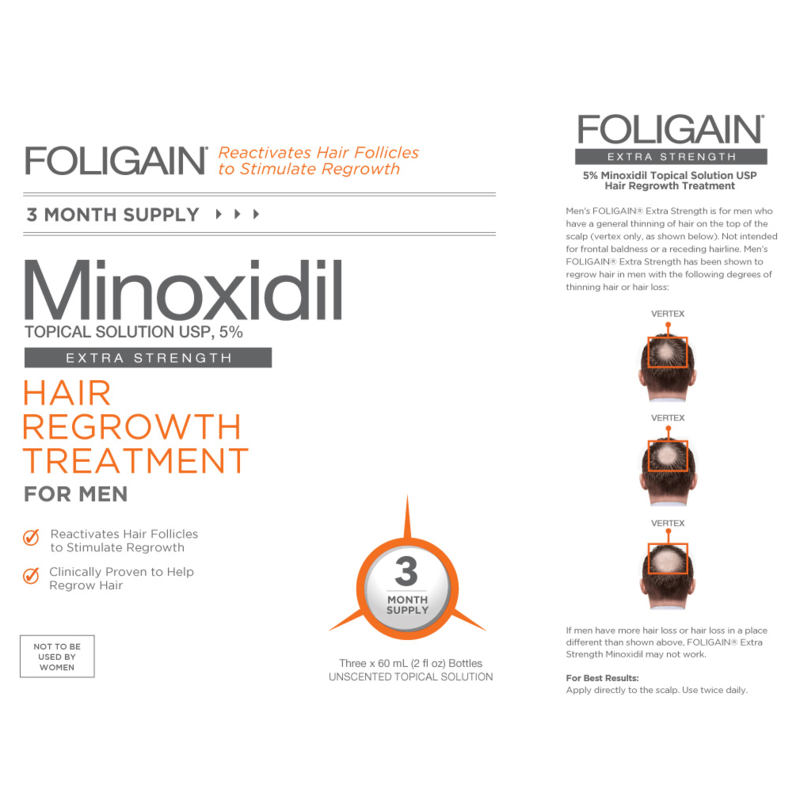 Men’s FOLIGAIN Extra Strength has been shown to regrow hair in men with the following degrees of thinning hair or hair loss. 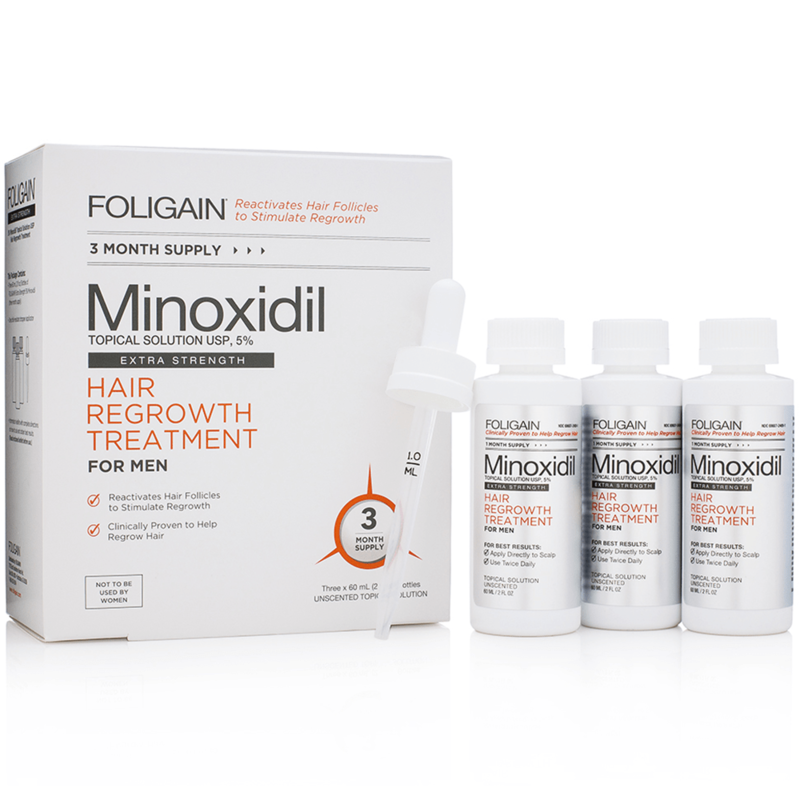 If men have more hair loss or hair loss in a different place, Men’s FOLIGAIN Extra Strength may not work.